According to a local saying « Cane must have its head in the sun and its feet in water ». For the music industry, it is preferable for the cane to grown on small rises along streams, since too much humidity aids growth but makes the material spongy and less thick. 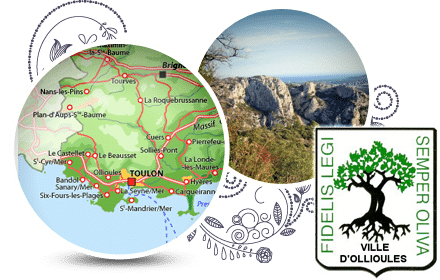 Cane can be found in many regions around the world, mainly in the Mediterranean Basin, but it seems that the best quality cane is to found in the area below Provence and along the coastal region of the Var. In higher latitudes, it does not grow so well and is threatened by frost. In lower latitudes it grows quickly, but its structure is made up of broader and spongier fibers, and its growing cycle is out of sync due to the higher temperatures and humidity of these regions, where the vegetation has hardly any rest. 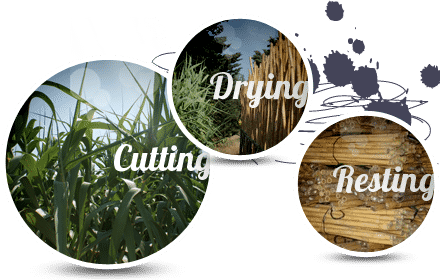 In our coastal region of the Var, the cane varies in diameter and thickness, and even though each grower remains convinced that his plot is the best of planting cane, the quality is the same throughout the region. 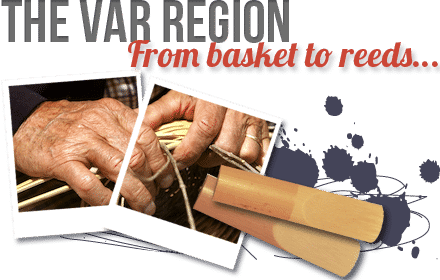 The cane industry began to develop with the arrival of many basket makers, maintly Italian, who came to work in the basket industry. Ollioules found itself to be the center of this workforce, who were employed by one of their compatriots. As this material was more and more exploited along the Mediterranean coast, these workers gradually set themselves up as artisans in the areas around Nice, Antibes, Cannes Hyéres and Ollioules. The cane is cut during winter (From December to march) and is stocked on trestles in an upright position until May, while the initial drying process takes place, and while the sap contained in the cane slowly descends by means of capillarity. The cane is then stripped of its leaves and branches, and cut at a height 6.5-8 feet, only the lower portion being used for the manufacture of reeds. The selected tubes are laid out side by side to dry, being turned at regular interval so that the sun can bronze them and harden the varnish evenly around the circumference. This also enables the cane to develop a sustained yellow color, something which is difficult to achieve with cane from regions other than the Var region. The frying time varies according to the amount of the sun that the cane receives. The tubes are then restocked in a well-aired place. After a certain time while the cane rests and stabilizes itself, it is then selected for use in production of the reeds. The amount of cane to be stocked needs to be carefully planned out, so as to assure enough for one year’s production. Marca use 150.000 Canes by year for his production of reed. It is at this time that still raw cane progressively begins its transformation process into Marca Reeds. 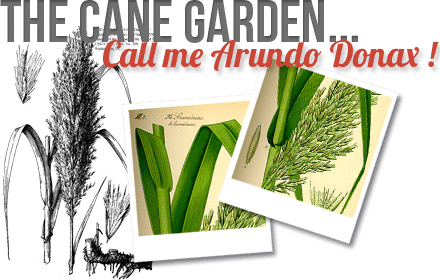 The scientific name for cane is « Arundo Donax », a giant grass that is typically to be found in Mediterranean climates. It does not flower every year, and never yields fruit, its reproduction being vegetal. It takes palce through rhizomes which grow and develop indefinitely. In the Var region, winter constitutes the plant’s period of rest, but as of march the rhizomes come into bud creating stems that continue to grow into September. Already the first year, the stems reach their final height (16-20 feet) and diameter. This one-year old cane is used in basket making or in the manufacture of garden shades known in Provence as “ cannisses” ( wattle fences). The second year the stems lignify and cover themselves with a natural varnish which is hard, shiny and impermeable, and branch out at the top. Its only this two-year old cane whiw=ch is used in the manufacture of the reeds, following selection according to its diameter. The third year, the cane loses its elastic qualities, hardens and dies. Each year we have to clean out the fields where the cane grows, removing the cane whose diameter is unsuitable for use in the music industry, although to ensure the survival of the rhizomes, care needs to be taken to cut aways only the dead branchre and leave those which act as “lungs” for the cane. The requires a very special Knowledge. Its nature which supplies us with the cane, and it is nature which, despite the care taken during manufacture, sometimes influences the final result. Clarinetist, Saxophonists, Oboists, Bassoonists… all know the difficulties in finding a « good reed » or at least one that suit them !